The first China (Xingcheng, Huludao) International Swimsuit Festival kicked off Tuesday everning with a swimsuit model contest in Huludao, Liaoning Province. 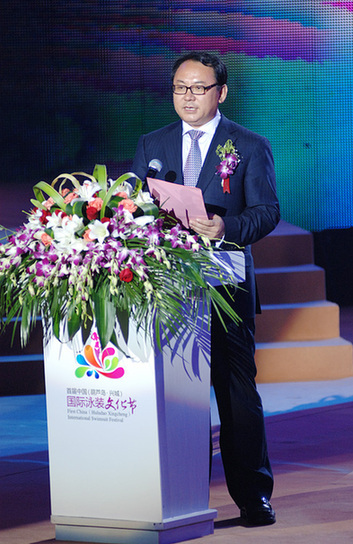 "The festival is expected to establish a communication platform in a bid to promote the interaction of Huludao and the rest of the world on the development of the swimwear industry," said Sun Zhaolin, Party secretary of Huludao and director of the festival’s organizing committee, at the opening ceremony. As one of the three largest swimwear production bases in the country, the coastal city’s economy centers around the swimsuit industry. It manufactures 150 million pieces of swimwear every year, or one-third of the total domestic production and 20 percent world-wide. The model contest featured 40 finalists that had been chosen from a string of preliminary contests since June. After heated competition, contestant No. 9, Hanna from Uruguay, won. Contestant No. 28, from Shandong, and contestant No. 27, from Henan, were the runner-ups. They also respectively won the awards for Best Figure and Most Potential. Contestant No. 1, from Thailand, took the Best Vitality Award, while contestant No. 27, from Turkey, was named Most Photogenic. Contestant No. 3 from Liaoning won the Most Popular Award, and 10 contestants were awarded for being Outstanding Models. 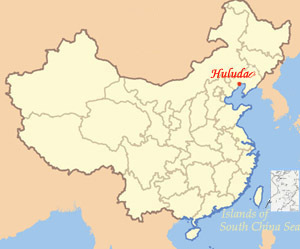 The two-day festival aims to disseminate swimwear culture, present swimsuit designs and fashion, marketing of swimsuit brands, promoting the upgrade of the swimwear industry, and building Huludao into the World Capital of Swimwear. 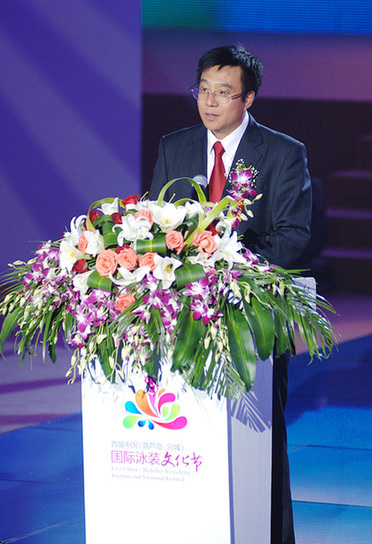 Other events include a swimsuit design contest, a conference on swimwear industry's investment and trade, a "I love bikini" show, a beach volleyball game and a tai chi performance accompanied with the music of Chinese zithers.